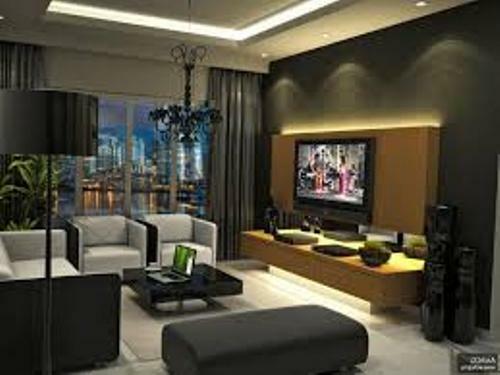 Look at the superb ways on how to arrange a living room with a TV. When the holidays start, some people decide to stay at home and enjoy the quality time with family and friends. You can watch the favorite movies and program on TV anytime you want. It will be fun to do it as soon as possible. However, you have to make sure that the arrangement of the furniture pieces, knickknacks and accessories in the living room are superb. If the living room is filled with a lot of mess, it can decrease the level of comfort. All people will stay away from the dull living room and prefer to stay outside. The television should be center of the living room. It should earn an individual space. The way you install the TV based on the TV design, shape and style. 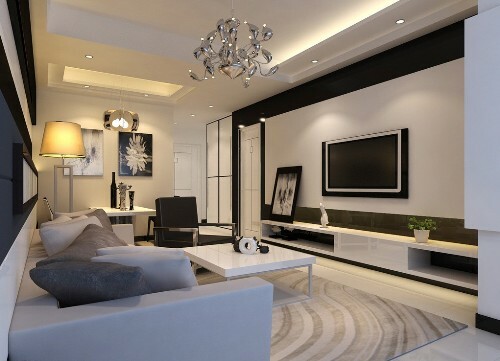 If you have a modern living room design, pick the LED or LCD TV to mount on the wall. Or you can put it on the top of modern TV stand. The people who have a traditional home design install a TV cabinet and put the TV inside it for decorative look. The furniture pieces in the living room should be comfortable and functional. They should be superb too if you want to increase the living room beauty. In front of the TV, you can set a sectional sofa set and two swivel chairs for the seating. A coffee table is located in the middle of the room. 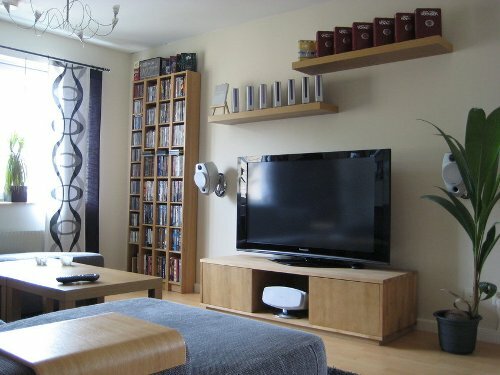 The area around TV is often filled with a lot of clutter because CDs, DVDs, books, games and remotes. You need a storage unit to avoid the clutter. Thus, install a wall mounted shelving unit on the wall. Check ideas on how to arrange living room furniture here. If the living room is big, you can divide it in two or three zones. One zone is for TV area, while another zone can be used as a reading or relaxing space. 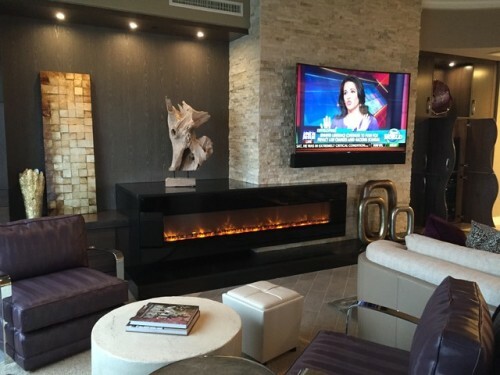 The last thing that you can do is updating the living room style. The wall can be decorated with a paint color. You can set a vase of flower on a glass coffee table. Decorate the shelves with some books. Find ways on how to break up sectional sofa here. 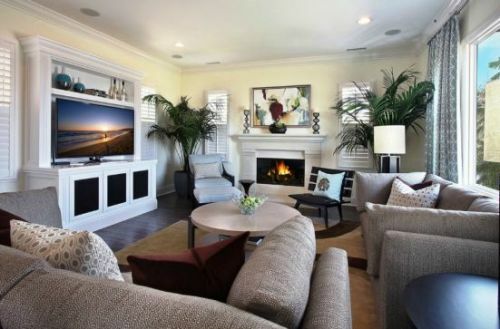 Are you fascinated after reading ways on how to arrange a living room with a TV?